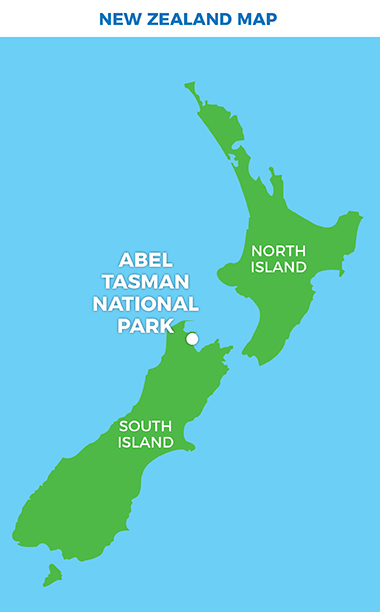 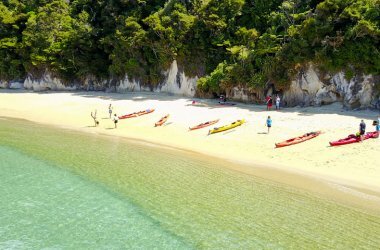 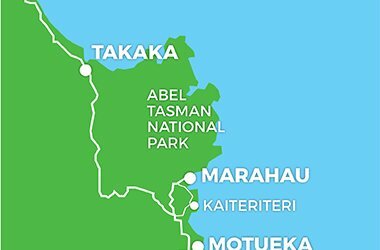 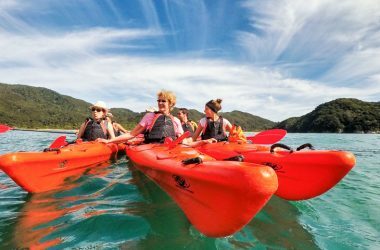 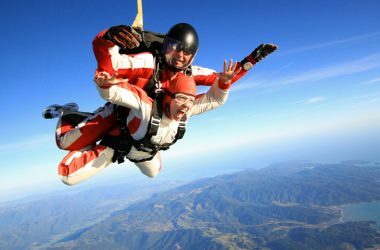 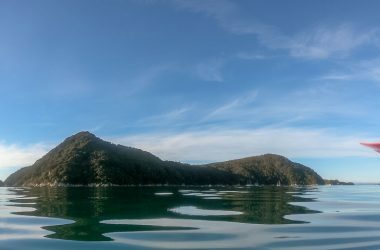 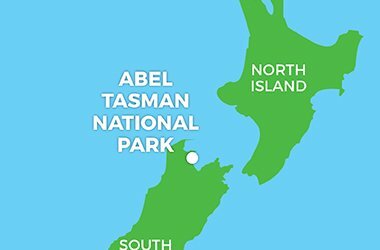 Catch the bus from Nelson to Marahau in the morning and then take a full day to explore the Fisherman's and Abele Islands and the sheltered beaches of the Astrolabe Roadstead with your guide. 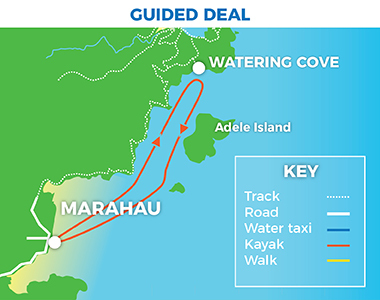 After your kayaking trip, take the bus from Marahau back to Nelson. 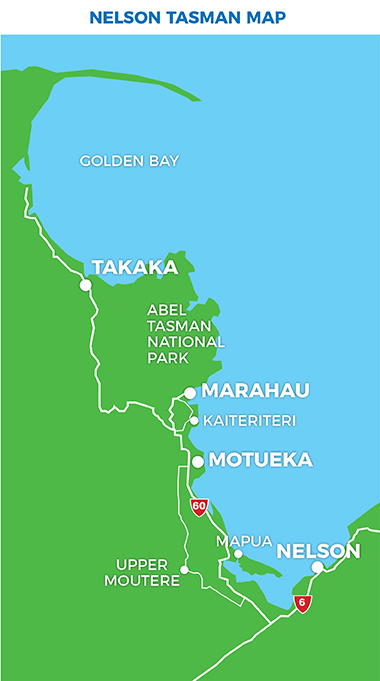 Travel from your lodgings in Nelson to Marahau in comfort and style in our touring coach. 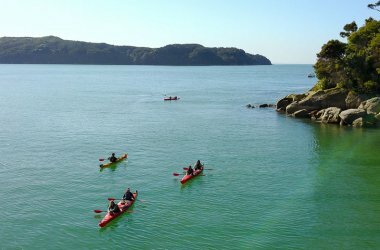 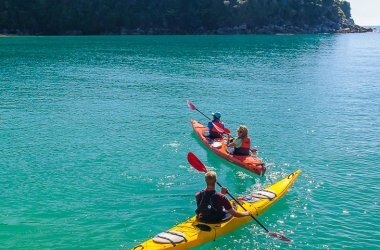 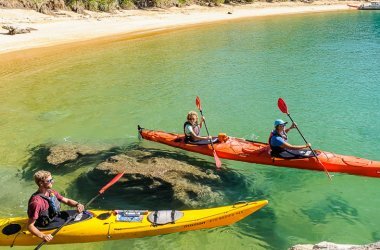 Then spend your day on the water with a small group of fellow kayakers led by one of our expert local guides. 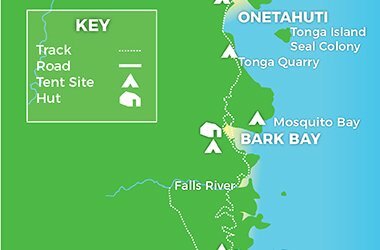 Learn about the local history and ecology from a guide who just loves sharing their knowledge and experience. 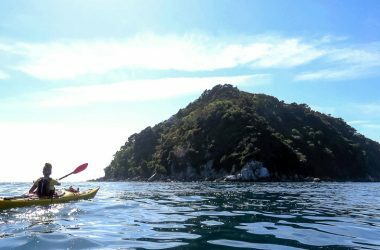 At the end of the day, paddle back to Marahau with the sea breeze.